I have spent a lot of time on here talking about a variety of red IPAs and how they measure up against my favorite examples of the style. While this has been informative and fun, I wanted to take a fresh look at one of those oft-mentioned favorites and see why I like it so much. Description: Originally made to celebrate the brewery’s 13th anniversary back in 2006, this beer has since become a spring seasonal hitting distribution between April and June. At $10.99 a six-pack, it comes at a pretty good price for a beer I like so much. It is shown above in my snifter glass, but in all honesty I drank the rest of these right of out of the bottle and that served me just fine. Appearance: Poured a see through reddish-brown amber body that was topped by a fizzy white head. Smell: Lots of sweet caramel malt and piney bitterness. Taste: A more complex version of the smell. Sweet caramel malt upfront transitioned briefly to a citrus and grapefruit middle which in turn got quickly overtaken by a resinous and piney bitterness. 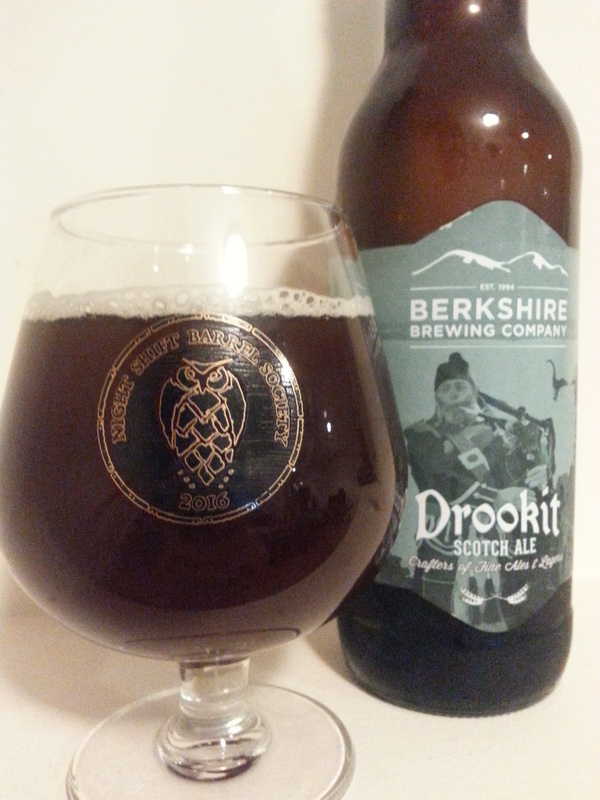 At the finish, both the malt and hop influenced aspects combined into a delightful synthesis of flavor. There were occasional hints of alcohol at warmer temperatures, but overall you wouldn’t be able to tell this was nearly 9% by taste alone. Mouthfeel: On the thicker side and a bit creamy to start, it then took on a more medium body as the moderate carbonation kicked in and came to sticky, sappy finish. Every step of the way, the mouthfeel perfectly complemented the taste of the beer. Hype Factor: None that I am aware of. While some people may look at this and see a “shelf beer,” I see a gem hiding in plain sight. 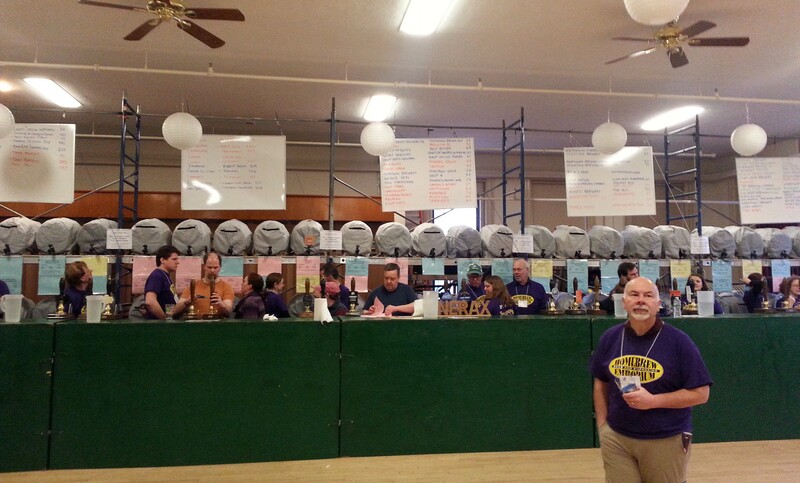 Overall: The beer lived up to my fond memories. It delivered exactly what I look for in the style, namely an ideal balance between assertive caramel malts and equally assertive piney hops. Well executed and offering a taste profile that I love, I am happy to say that this beer continues on being one of my favorites. Last Friday I was once again lucky enough to end my work week with a couple of beers from Trillium Brewing Company. Nothing like having your boss show up with a pair of growlers at the end of the day to help relieve the stress of a rough week and offer up some encouragement for the one to come. 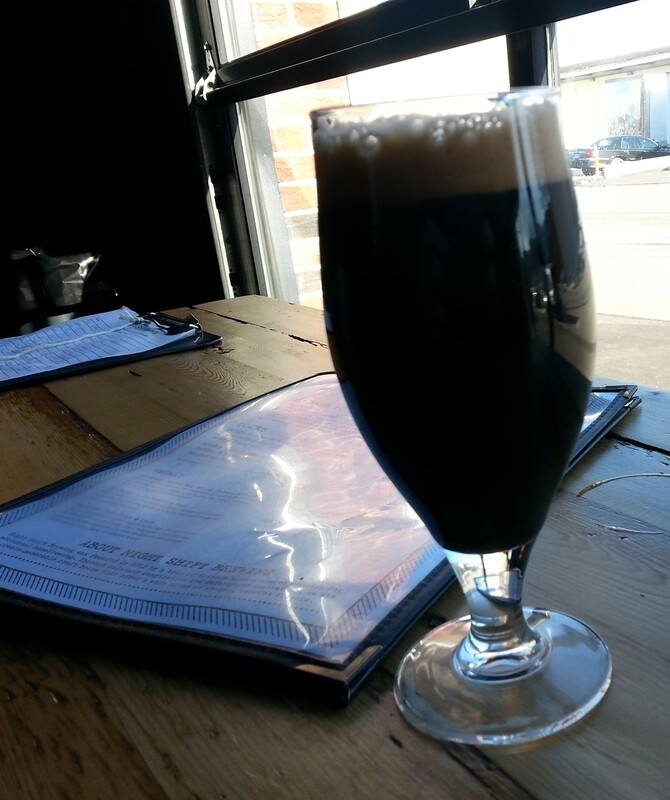 The first growler we opened was Pot & Kettle, a 7.5% oatmeal porter with cold brewed coffee. It poured a dark brown body topped off with a light tan head. Its sweet and creamy aroma served as an excellent introduction to the beer before taking the first sip. Taste-wise, it blended notes of light roast coffee, cacao, rich dark malts, and sweet cream into a wonderfully balanced brew. No hint of alcohol at all, it drank like a much smaller beer and was quite easy to finish off. 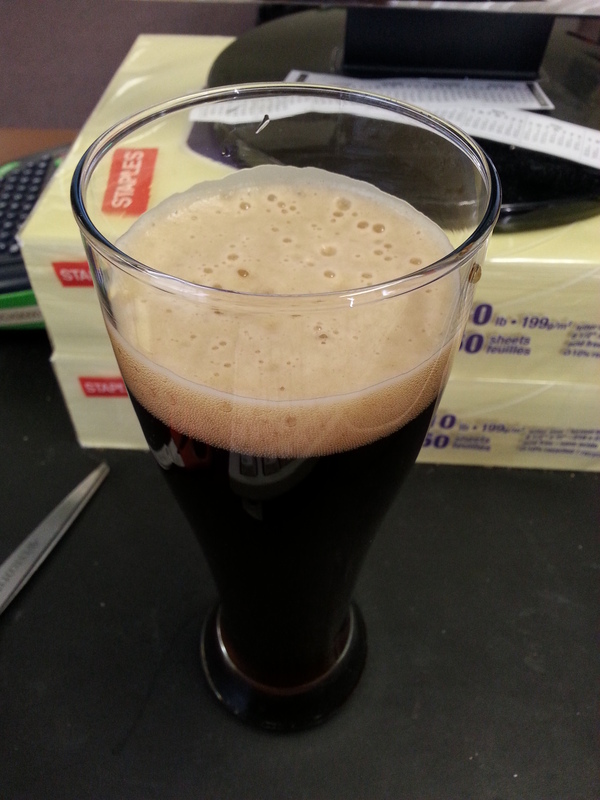 The mouthfeel had a nice thickness to it and there was a very low amount of carbonation. All this made for an awesome brew, combining great flavor and excellent smoothness. Make sure you don’t overlook this one while checking out Trillium’s more hop-forward offerings, it is a very nice beer in its own right. Growler number two was the Double Dry-Hopped version of their 7.2% Summer Street IPA. It poured a hazy, light straw-colored body with a foamy white head. 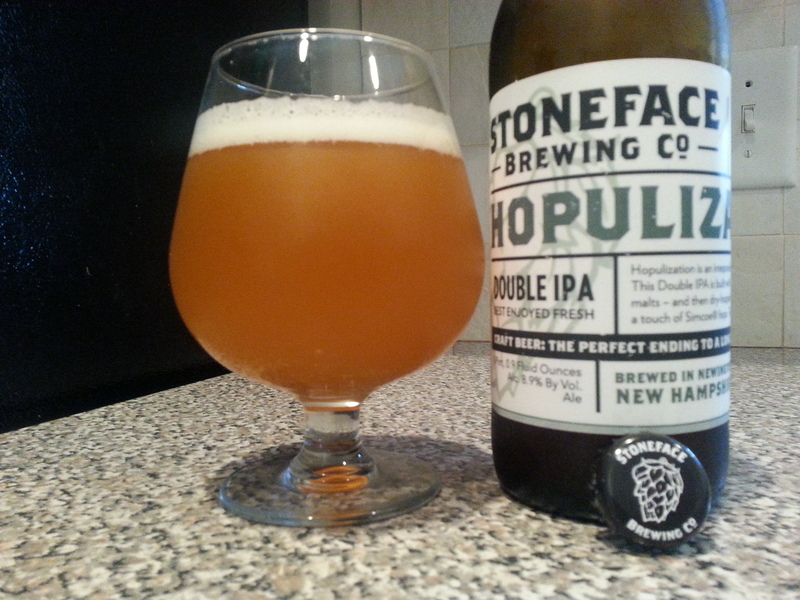 The smell was bursting with citrus juice on top of moderate hoppy undertones. The taste offered another blast of citrus; sweet upfront before transitioning to a bitter grapefruit and piney hop finish with a slight wheaty aftertaste. The mouthfeel was a bit thicker than your typical IPA and had a slightly less than moderate level of carbonation. Definitely a well made beer, but overall I liked rather than loved it. I think my hop cravings are focused in other areas right now and the grapefruit/wheaty finish wasn’t my ideal combination. Still, as with most of Trillium’s offerings, you wouldn’t be wrong in picking this up. While browsing the shelves of my local Kappy’s, I was pleasantly surprised to see a few offerings from Stoneface Brewing Company sitting there. They have earned a pretty solid reputation, certainly well deserved based on my experiences with them. Looking to try something new, I picked up the last bottle remaining of a double IPA I hadn’t come across before. Description: Per the label, this DIPA was brewed with 2-row pale, light wheat, and crystal malts and dry-hopped twice with Galaxy, Calypso, and Simcoe. For $8.49, I had myself a 16.9 ounce bottled, dated 3/15/2016. Poured refrigerated into my trusty snifter. Appearance: It had an opaque, golden straw-colored body that was topped off by a fairly persistent bubbly white head. The head left a good amount of clean white lacing along the edges of the glass as the beer progressed. Smell: A mix of bitterness and sweet juicy undertones, I got a lot of mango and other citrus fruit. Taste: Citrus juice upfront, though not quite as sweet as the smell suggested; mostly grapefruit with a hint of orange mixed in. This blended well with a sappy, piney hop profile that picked up midway. At the finish there was a prominent orange zest character that left the beer with a markedly bitter and slightly fruity aftertaste. The ending was also rather crisp and clean, allowing these tastes to linger on. Mouthfeel: Pretty much perfect for the style, medium bodied with a moderate amount of carbonation. The finish was a bit sticky, accentuating the resinous character of the hops. Hype Factor: The brewery is pretty well-regarded, but I don’t think there was any out of the ordinary excitement about this release. I was happy to see them in my local store though. Overall: Not a bad beer, but ultimately it didn’t really do it for me. The juiciness was mainly just a tease, and by allowing the bitterness to overshadow that aspect the way it did, I felt like the hops were a bit overpowered. In particular, it was the zesty aftertaste that really influenced this opinion. If you like your DIPAs assertive and zesty, I’d say give this one a go. For me personally though, I’d pass it up in favor of something else next time I want to buy one of their beers. A thought occurred to me as I was looking for something quick to read while waiting for a library hold to come through. As much as I loved the Grand Admiral Thrawn Trilogy, I had never read anything else that Timothy Zahn has written. Hoping to change that, I started browsing my library’s e-book catalog and happened upon The Icarus Hunt, a stand-alone novel originally published back in 1999. The story was told from the point of view of Jordan McKell, a down on his luck smuggler hopelessly indebted to a powerful crime boss. On the verge of finishing his most recent assignment, he was approached in a spaceport tavern by a man offering a job with a payday too good to refuse. Jordan hesitantly accepted, and found himself teamed up with a makeshift crew recruited under the same circumstances. They were given the relatively simple task of delivering an odd spaceship (the Icarus) and its unspecified cargo to a contact on Earth. When an accident leaves one of the crewmen dead, Jordan suspects a saboteur is aboard and begins to have doubts about his both crew and mission. These suspicions are enhanced when he finds they are being not so discreetly hunted by agents of an alien government intent upon capturing the ship. As these pursuers close in and the number of incidents aboard the ship increase, Jordan and his partner Ixil endeavor to stay one step ahead of their enemies, their only chance at survival to find out who among the crew is the traitor and unlock the secrets of the Icarus’ mysterious cargo. Incorporating elements of mystery and science fiction into a cohesive and engaging story, this was the e-book the equivalent of page turner. The mystery aspects were perhaps the most central to the book’s identity, and despite not being a reader of that genre, I enjoyed watching them unravel as I read on. I really got into the story and appreciated how hints dropped throughout the book paid off at an ending made all the more satisfying in that it wasn’t revealed too early or made too easy to guess.The sci-fi element was primarily of the space opera variety and introduced a diverse universe populated with a variety of alien races, worlds, and futuristic technologies. While these things were certainly used to good effect throughout the story, they were always in support of the mystery plot as opposed to the main focus. As a result, the book often had the feeling of a mystery novel that also happened to be set in space, as opposed to a full-on Star Wars-like adventure. That said, there were a few sci-fi elements I found particularly interesting; namely McKell’s reptilian partner Ixil with his symbiotic ferret pets and the author’s insightful use of advances in mobile communication technology (keeping in mind that this was written in 1999). My one criticism of the book (and this is a fairly small one) was that there were a few action sequences in which I found it difficult to follow what was happening. Overall though these were pretty isolated incidents and did not have a significant impact on my reading or enjoyment of these sections as a whole. Most of the action was fast paced yet clear-cut and well-integrated into the rest of the book. That one minor criticism aside, I had a lot of fun reading this book and spending time in its universe. While not quite as deep as some of the other Sci-Fi novels I’ve enjoyed recently, it did succeed in telling a fun story that was often difficult to put down. Since it also inspired me to add a few more of Timothy Zahn’s works to my reading list, I am going to go ahead and recommend The Icarus Hunt to anyone intrigued by the description. Really happy I happened upon this book. Scotch ales always seem to draw my interest despite being a style that tends to be very hit or miss with me. The hits are usually really satisfying while the misses end up being way off the mark. Hoping for a pleasant surprise, I picked this one up the other day. It had the benefit of being from a brewery I trust at a price that was hard to resist. 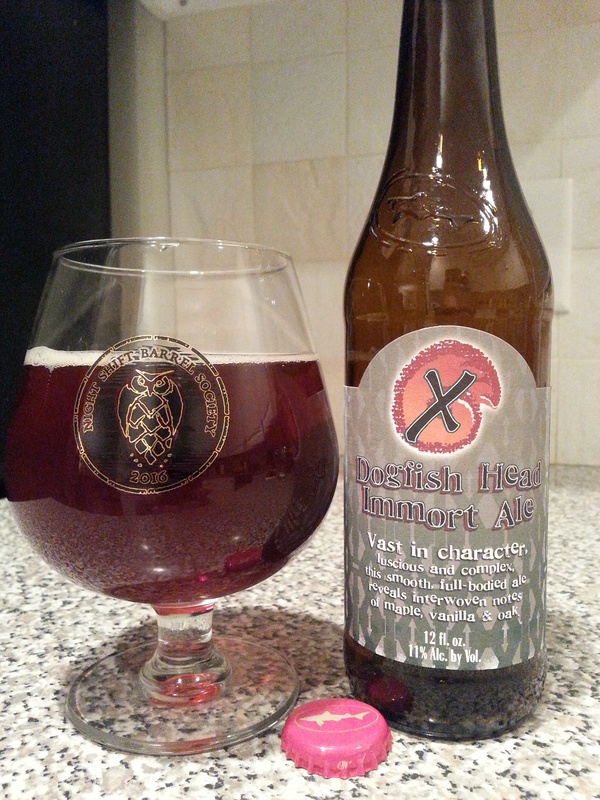 Description: The label described this beer as “sweet and malty” with a “handful of peat-kiln malt.” There was a 04/01/2016 date on the price tag, though I am not sure if that refers to when the beer was bottled or added as inventory. The bomber was a bargain at $4.99 and met its end in the same manner as many more expensive offerings, in my snifter glass. Appearance: It poured a dark brown/caramel body with a thin bubbly white head. 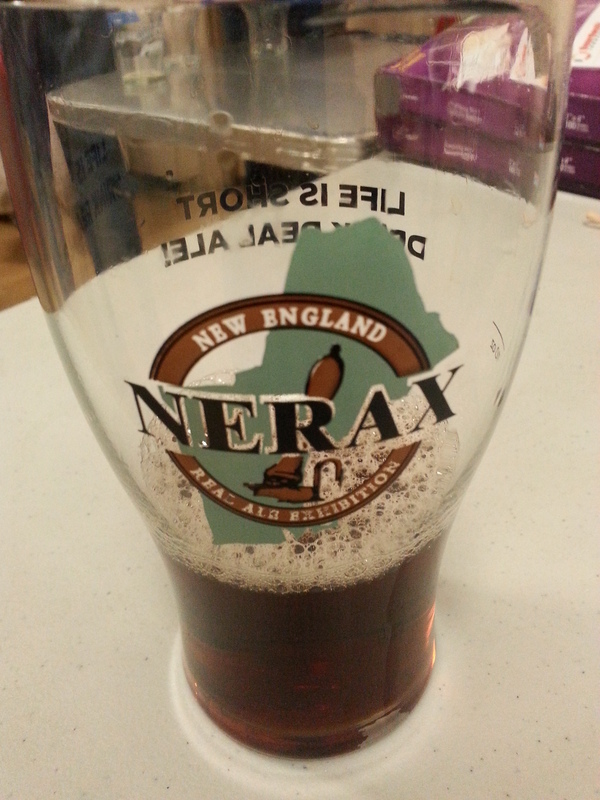 The head dissipated fairly quickly to leave a nice lacing along the sides of the glass. 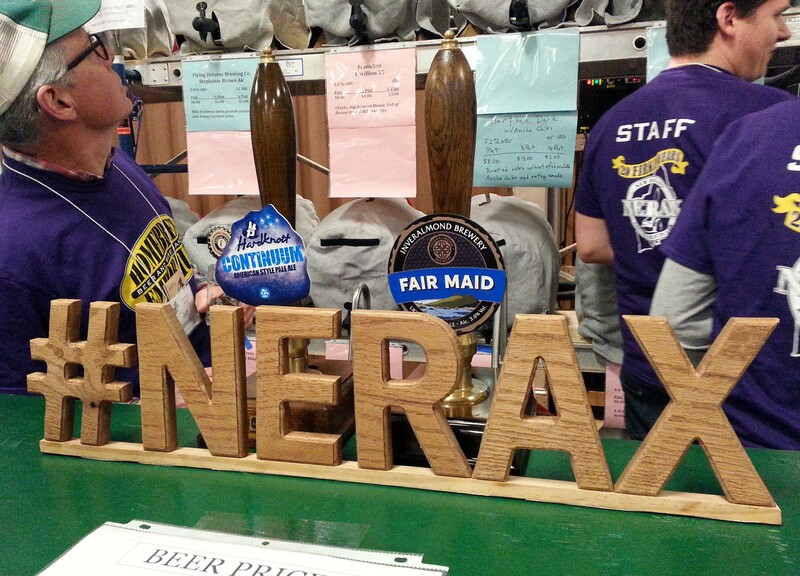 Smell: Smell was primarily sweet, with a peaty malt presence lingering in the background. 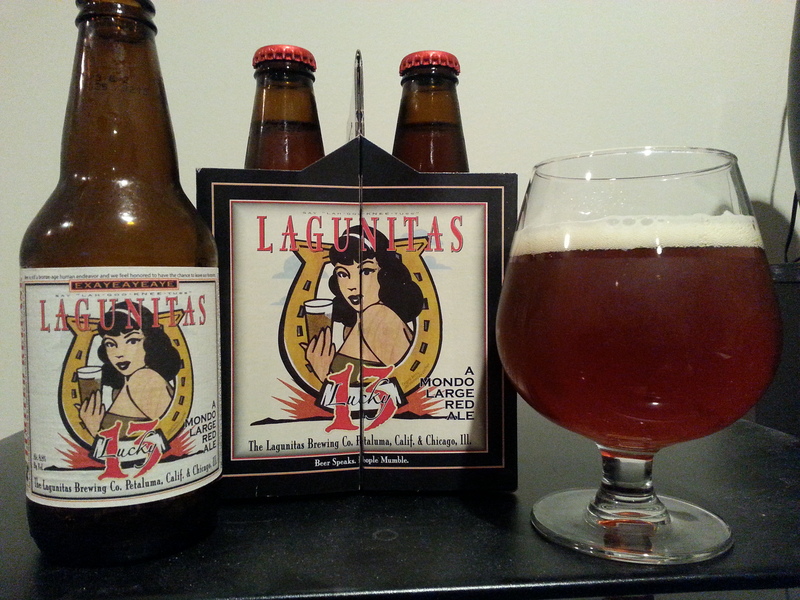 Taste: Moderate amounts of sweet malt upfront, primarily of the caramel and toffee variety. I also got some dark fruits as the beer transitioned to the finish, which brought with it a very slight smokiness. I generally don’t care much for smoke in my beer, but the flavor here was quite subtle and pleasantly complimented the sweetness. Mouthfeel: The beer was pretty thick up front and thinned out a bit by the end. Carbonation was virtually non-existent. Both of these aspects suited the tastes of the beer quite well. Hype Factor: I definitely brought my own hopes and expectations into this beer, but there was not any external hype around this one. Overall: The beer delivered just about what I hoped it would, though for some reason it didn’t quite blow me away. Still, I enjoyed drinking it and would call this offering a success. Definitely something I would keep in mind next time I want something in this style. Here we go with another year of Night Shift Barrel Society releases! Since I was sufficiently well-behaved enough last Christmas for my wonderful wife to continue her tradition of gifting me with Society membership, I once again have 7 special brews to look forward to throughout the coming year. Without further ado, I present to you all the first offering in this year’s lineup. Description: Bottled in March 2016 but not released on tap until yesterday, this beer was listed as a Baltic porter brewed with Dutch cocoa and aged in bourbon barrels. The tasting for this review was done on-sight at the brewery, poured fresh from the Barrel Society tap into a flute glass. Appearance: It poured a dark brownish/black body with a healthy two finger tan head going right up to the rim of the glass. The head stuck around for most of the beer, content to lay across the top as I enjoyed the liquid beneath. Smell: I didn’t get too much at first, but the longer I let the beer sit the more roasty cocoa and bourbon aromas emerged. Taste: Upfront I got a mix of cocoa, light roast coffee, and sweet malts. The finish was a combination of bourbon and some moderately bitter dark chocolate. I swear there was also a slight leathery taste (in a good way!) somewhere in the middle for balance. As with the smell, the cocoa and bourbon intensified as the beer got warmer. By the final sip the beer had taken on a nice bitter chocolate, roasty cocoa, and bourbon character. Despite the definite bourbon presence throughout, the beer never tasted particularly boozy or hot at any point though the fairly high ABV was not a surprise. Mouthfeel: Super smooth with an occasional hint of carbonation at the end of some sips. Pleasantly thick bodied and right in line with other examples of the style. Hype Factor: I was excited about this one. Not only was it the start of a new line of releases, but Night Shift has been putting out some really amazing dark beers lately. Overall: I liked this offering a lot and it served as an excellent opening round for this year’s Barrel Society members. However, as a sign of how spoiled I’ve been by this brewery lately, I couldn’t help but feel that their extremely limited Year 4 Stout and Elevensies releases had a slight edge over this one. Still, the beer was quite good in its own right and I am really looking forward to trying it again with some age on it. Can’t wait for the up and coming Release #2. I was scanning the aisles in my local bottle shop and happened upon this offering from Dogfish Head. I didn’t know too much about it going in, but it looked like something that would be interesting to try. Description: Per the label, a “full-bodied ale (that) reveals interwoven notes of maple, vanilla & oak.” After giving it a few hours in the beer fridge, I poured the 12 oz. bottle into a snifter glass. The price for the bottle was getting into the higher end of things at $4.49 for 12 oz. Appearance: The body was a murky brownish color that had a golden/red shine to it. You could see through to the other side of the glass, but just barely. A somewhat vigorous pour produced a half-finger white head that pretty quickly faded to no more than some lacing on the sides. Smell: Oaky and a little bit malty. There was also a definite sweetness, though I thought it was more along the lines of cherries or dark fruit than maple at this stage. Taste: Started out oaky and just a little bit sweet. Transitioned to more of a maple syrup sweetness with a hint of vanilla mid sip before the oak influence picked up at the end. The finish also took on a smokiness that I found a bit surprising. Neither the oak or the smoke were overly intense on their own, but in conjunction they brought the beer to a rather distinct ending. Liking this beer (or not) comes down to how you feel about this flavor combo as it is the most dominant and lasting taste. Mouthfeel: Thick and smooth, they were definitely right in calling this a full-bodied beverage. 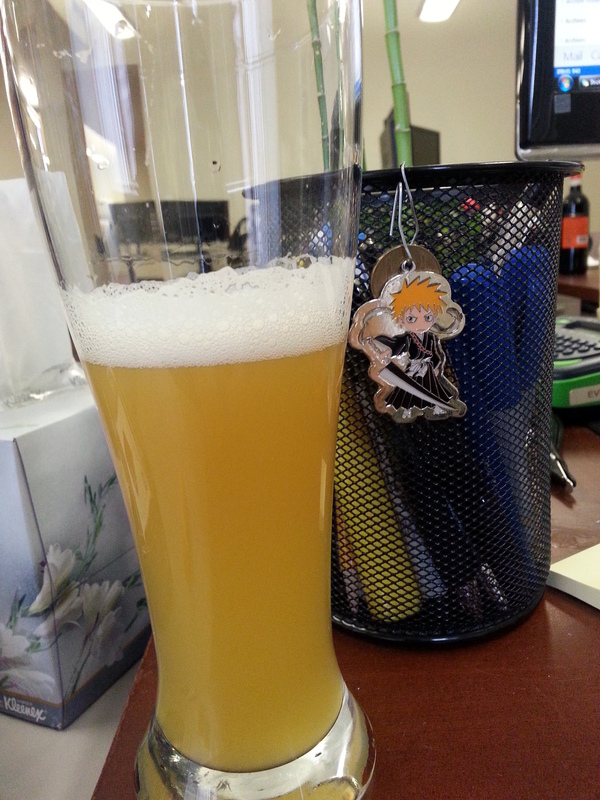 The carbonation level was slightly less than moderate. I noticed that at warmer temperatures the front part of the sip ended up getting a bit foamy in my mouth. I found this a bit disappointing as it took away from the tastes I tended to prefer and brought more attention to the ones on the end that I did not. Hype Factor: No hype really, though I was interested in trying this after having had good experiences with some of Dogfish Head’s other higher end singles. Overall: From reading the full description on the label, I am inclined to say that the brewers got what they wanted to out of this beer. Unfortunately for me, what they wanted here and what tastes I like in a beer did not coincide this time. I think with a little less oak and none of the smoke I would have enjoyed this more. To play off the name, I am glad I tried this but there will be only one (for me anyway).